This raccoon was enjoying the bird seed I put out and wandered a little across the deck rail. Eli and Macy saw the raccoon and the raccoon saw them, but seemed to realize the window provided a safety shield between them so didn’t care much. Nonetheless, it was an exciting few moments for my dogs who then ran out through the doggy door. 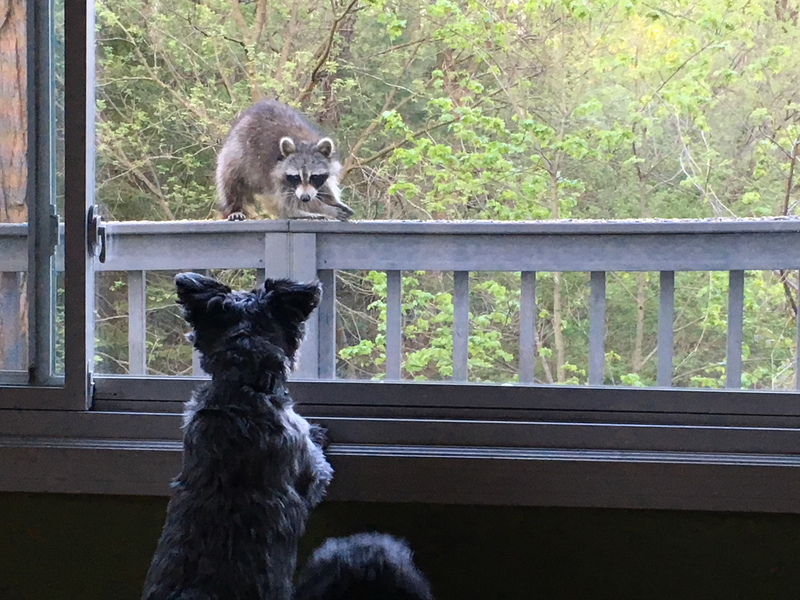 The raccoon scampered down the railing and under the deck before Eli and Macy reached it.